P’ Somjit: My main job was to make and sell a Thai snack called “miang”, I also had a side job as a coffee farmer. Now, my sole focus is on coffee. P’ Somjit: I love living in Khun Lao village because I get to be close to nature. P’ Somjit: I didn’t really know much about coffee back then, but I was curious about it. So I just started to plant some coffee trees to see how it would turn out. My neighbours said it was a good idea to do something besides selling “miang”. My coffee received an award from The Royal Project Foundation, which has encouraged me to keep doing what I do. 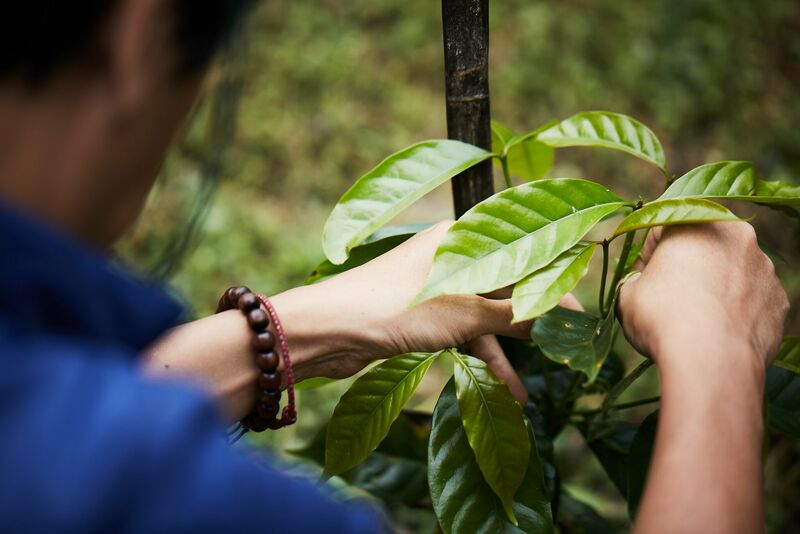 P’ Somjit: I’m not really sure what it means to me yet, but I hope that it will bring something good to us so that we can continue to improve the quality of Khun Lao village’s coffee. P’ Somjit: I’d still be doing what I do. I have to and I know that I don’t want to stop. 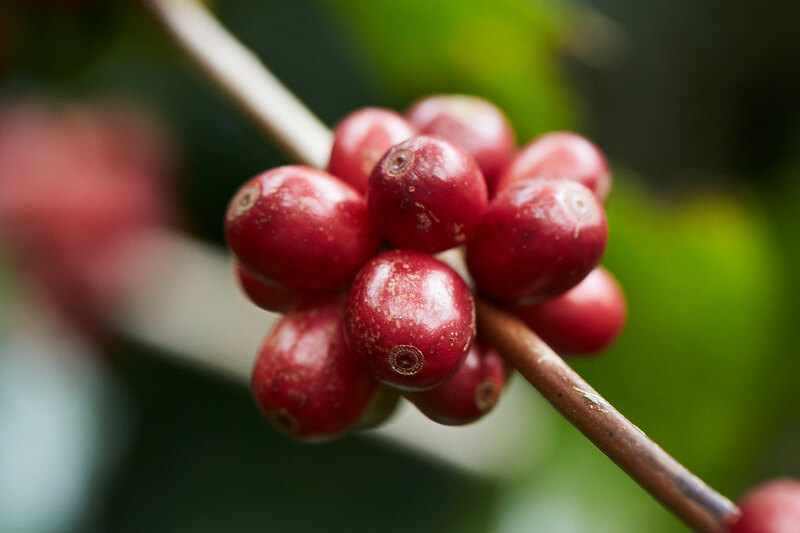 I want to also study the market to understand the demand but also be able to keep developing the standard of our coffee. P’ Somjit: I drink black coffee with a little bit of honey. A little sweetness never does any harm. P’ Somjit: I think I’d still like to be a coffee farmer - in all honesty, I don’t want to do anything else. I love nature and I enjoy being close to the forest. So for me, coffee is the answer. Maybe I’d consider being an avocado farmer. Either way, I’d still choose agriculture over any other business. It’s something that I want to do for the rest of my life. 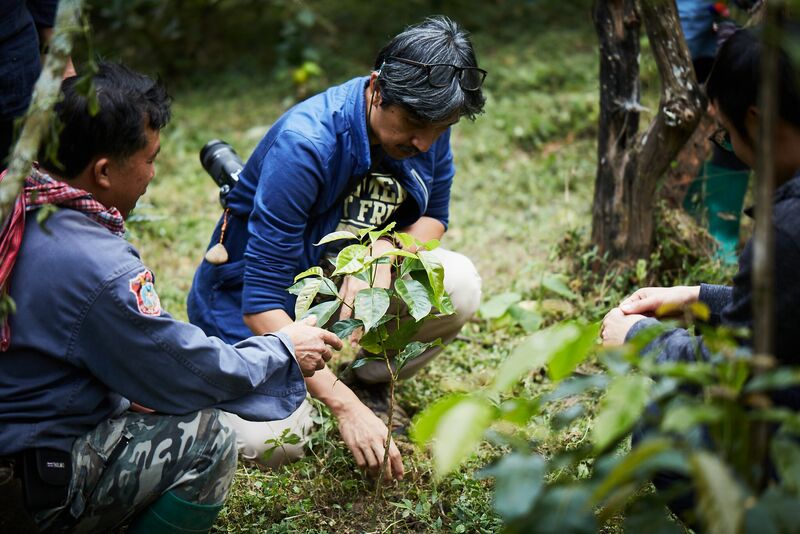 P’ Somjit: I really put my heart into my coffee farm. I’m happy to do what I can to provide customers with the type of coffee they like and adjust the flavor profiles to suit their taste.